You’re talking with an HR or communications leader. The person shares with you that the managers of their organization aren’t communicating as well as they should. When you probe and ask about the manager communications toolkit you get a blank look. But we’ve transformed, they say. We’ve got forums, blogs, online communities, instant messaging, video calling, and hangouts! 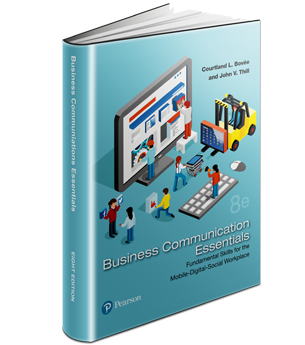 Why would we need a communications toolkit? Those channels are exciting. What’s more, they’re easy to access and use. Yet, there’s an assumption that managers know how to use them effectively. Effectively is the important word here. In other words, leaders assume managers understand how to use a channel to reach employees so that they can hear a message and make meaning of it. I think that’s a big assumption. Further, I don’t think the evidence bears it out. For example (and my personal favorite): How many times have you seen the email flip? Hundreds? Okay, sometimes that’s they way to go. But more often than not, those managers haven’t even read the message before they forward it onto their teams. The teams get a message for which they have no context or insight. So you know what they do with that message! 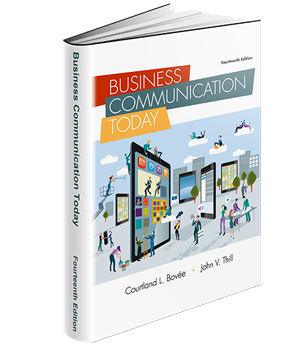 As we change inside our organizations, adopting new ways of working and new channels for communication, we need our managers to remain up to the task of communicating effectively. That’s why I think most companies need some sort of manager communications support and equipment–a toolkit. The content and how it’s delivered can reflect the organization’s communication philosophy and strategy. Regardless of the substance and delivery mechanism, it should be practical. Managers can use it to get on the same page with easy-to-follow communication principles, coaching and resources around good communication practices, and supporting templates or tools. With that basis, they’re ready to hear from their leaders, and in turn communicate with their teams in ways that their employees can hear and understand and, maybe, even get excited. 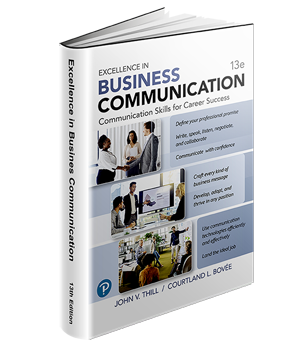 Frankly, the stakes are too high, and business objectives are too important to leave manager communications to a cross-your-fingers-and-hope-for-the-best approach. A humble manager communications toolkit can make all the difference. What do you think? The new Art of Storytelling series is great news for educators who want to bring the principles of storytelling into the classroom and help their students understand the art of story. Yet this is also useful for anyone who wants to become a masterful storyteller in business or in any other endeavor. Here’s the introduction video for the Storytelling series. The Zen Master of data visualization has died. I am sorry to have to report that Dr. Hans Rosling passed away today in Uppsala, Sweden. He was just 68. A profoundly mournful day for anyone who knew Professor Rosling, obviously. But it’s also a sad day for all of us in the greater TED community or data visualization/business intelligence communities as well. Dr. Rosling’s work was seen by millions and will continue to be seen by millions worldwide. It is incalculable just how many professionals Hans inspired over the years. His presentations, always delivered with honesty, integrity, and clarity, were aided by clear visuals of both the digital and analog variety. He was a master statistician, physician, and academic, but also a superb presenter and storyteller. Below is Dr. Rosling’s debut at TED 2006. It’s as good now as it was then. Hans Rosling presented at TED ten times, more than any other presenter. All of his TED presentations are featured here on the TED website. Below are links to a selection of other posts from presentationzen.com which feature videos and analysis of Dr. Rosling’s presentations over the years. • Hans Rosling: Don’t just show the notes, play the music! Indeed. Let us all remember Professor’s Rosling’s contributions and continue to keep the dream of a more fact-based, rational worldview alive. Edward Tufte is a leading expert in the data analysis and data visualization space. His books are classics and required reading for anyone interested in understanding how best to display quantitative information. I read his books just after I left Apple in 2003 to become a college professor in Japan. His books are foundational. I’ve talked about Tufte in my own books and on this website going back to at least this post in 2005. I have not seen him speak recently, so I was happy to see this 50-minute presentation by Dr. Tufte which took place at the Microsoft Machine Learning & Data Science Summit 2016 held this past September. Microsoft’s David Smith introduced Dr. Tufte at the 2:30 mark. “It is impossible for any normal human being to stare at a spreadsheet and look for contradictions, and problems.” This is where data forensics comes in. Tufte recommends the Quartz Guide to Bad Data at GitHub. “In doing creative work do not start your day with addictive time-vampires such as The New York Times, email, and Twitter. All scatter the eye, and mind, produce diverting vague anxiety, clutter short-term memory. Instead, begin with your work. Many creative workers have independently discovered this principle.” I completely agree with this. The first is the classic The Night Before Christmas by Clement Clarke Moore. There are many editions of this classic tale, but based on the amazing and numerous reviews on Amazon, I purchased Robert Sabuda’s The Night Before Christmas Pop-up last year in time for Christmas.The pop-up art is amazing and imaginative. I was not sure at first that I would want a pop-up book for story time, but the great thing about the 3-D aspect of it is that the kids are always touching the paper and playing with the tabs and strings as the story progresses. They use their imagination to believe now that the story is about them and their house. In the final two-page spread, for example, a snow-covered town pops up with Santa flying over the houses. My son will say something like “here is our house and this is our bed room window.” My daughter would then comment “here’s grandma’s house and here’s our school across the bridge.” I read each page, but we spend more time on questions and adding to the narrative before I move on to the next spread. It’s a well-made book, but you need to be a bit careful with it, especially with infants. Still, if you are just a little careful, the pop-ups should keep working long after the kids are grown. The second recommendation is not a pop-up, but rather a series of visual books that come with an audio reader than the child can control. My wife had a business trip to New York City about a year ago and brought back The Disney Star Wars Me Reader. It was an instant hit.The box comes with eight short illustrated books and a durable plastic electronic reader. Of course, I can read the book as my children follow along, but they actually prefer that I hold the book for them as they press the buttons on the reader to go through the story page by page. The electronic reader is intuitive to figure out for the child. We got this Star Wars set over a year ago when my son was 3-years old and he knew how to navigate the analog menus after 1-2 minutes of playing around. The narrator’s English is extremely clear and easy to understand and I believe this has helped with their English pronunciation. The kids don’t just listen but repeat phrases from the book — “It’s a trap!” As we live in Japan, I am about the only person they interact with in English, so tools like this were surprisingly useful. My son is the Star Wars nerd (as am I), so I think we’ll get a different Me Reader for my daughter for Christmas such as the Frozen Me Reader. The Star Wars Radio Youtube channel has a preview of one of the books along with the audio for each book. This should give you a feel for what they are like. We’ve already gotten a lot of mileage of these books. There’s a new book just out that focuses on improving the kind of presentations that scholars, researchers, and other technical specialists need to give. The book is Better Presentations: A Guide for Scholars, Researchers, and Wonks by data-visualization pro Jonathan Schwabish. Jonathan is a Senior Research Associate in The Urban Institute’s Income and Benefits Policy Center and a member of the institute’s communication team where he specializes in data visualization and presentation design. Jonathan is an economist by training and an expert in data visualization. He’s a numbers guy with a special skill for helping others communicate their data in ways that engage and connect with an audience. “Presenting is fundamentally different from writing,” says Jonathan. “[But] with only a little more time, a little more effort, and a little more planning, you can communicate your work with force and clarity.” Better Presentations is a simple, well-written, visual book that is useful for students, teachers, and other academics, as well as for anyone who needs to give data-driven presentations. Check it out. When Toy Story opened in the US at the end of 1995, it was met with enthusiasm and great critical acclaim. The film would go on to be the highest-grossing film of the year. There was tremendous buzz (ahem) about the film before it arrived here in Japan a few months later. Much of the talk focused on the stunning 3-D animation and the remarkable technical achievements by Pixar to pull this movie off. I remember sitting in a movie theatre in the spring of 1996 in Osaka, Japan watching the film. I was a bit of a technology geek in those days so what propelled me to actually go see the film initially was the fact that it was the first truly digital animation feature film. And yet the thing that impressed me about the movie was that I soon forgot all about how the animation was created and just remembered being engaged by the story. I wanted to see the film again (and again). I thought it was perfect. Fast forward to today and I have seen every Pixar film ever made dozens of times. I have two small children who adore all the Pixar films and I don’t mind watching along with them. If there was a degree given out for watching Pixar films, then I’d by working on my PhD by now. I watch the films repeatedly because my kids ask to see them, and since our DVDs are in English the movies are more than mere entertainment. But truth be told, I love watching the Pixar films because I have learned so much about story structure, story elements, character, etc. simply by seeing them so many times and paying close attention. These films are designed for adults and kids to enjoy and you may not think there is much to learn from these animated features, but you’d be wrong. Lasseter has said that the first 18 months of working on Toy Story was spent laboring just on the script, that is, the story. The animation is awesome, but it’s the story that hooks you, holds you, and rewards you at the end. And it is really, really hard to craft a good one. In spite of Pixar’s amazing technology, there has always been a focus on the people creating the picture, the people in the audience, and above all, the commitment to the story and the story process. In this short clip from 2009, John Lasseter talks about the importance of storyboarding and creating story reels to see if the story is working or not before starting production on a scene. “We will never let a sequence of a movie go into production until the story reel is working fantastically.” If a story reel is working well then Lasseter says it gets a hundred times better once it’s animated. “But if a story reel is not working, if the sequence is not working, it will never be improved by all this animation.” This is a lesson for all storytellers. It is not about your visuals, and certainly not about the software tools you used to make those visuals. Visuals matter. Visuals are important. But no amount of stunning visualization is going to save a story with a bad design or a presentation that is poorly thought out. A good book I often recommend is: Yes! : 50 Scientifically Proven Ways to Be Persuasive by Dr. Robert B. Cialdini et al. I first read the book when it came out in 2008. The book is designed for professionals who are interested in becoming better at understanding how to persuade or influence others. The book may also help you understand why you decide to do the things you do. Even if you are a researcher or teacher or a medical doctor, and so on, and not a business person, it’s still important to understand how people are (or can be) influenced and persuaded by your words and behaviors. Each chapter focuses on a single question and is no more than 3-5 pages long. If you want to go deeper you can checkout the sources for each chapter in the Notes section. “Yes!” is not a textbook, and it may not go deep enough for some, but for extremely busy professionals, this is a useful book with many clear, quick lessons that will get you thinking. If you want a little more depth, I suggest Cialdini’s other huge bestsellers Influence: The Psychology of Persuasion and Influence: Science and Practice. These books have sold in the millions by now. Some people may be skeptical about the ethics of trying to persuade and influence others, but remember, it’s not just about marketers trying to influence someone to buy something they do not need with money they do not have. Persuasion can be used for good just as it can be used for ignoble reasons. For example, a medical doctor often needs to be effective at persuading patients to comply with her recommendations. Facts, data, and argument are usually not enough to influence a change in behavior. In an ideal world people would use reliable information and sound logic to guide their thinking and decision making, but the reality is people use shortcuts or “rules of thumb” to make decisions. The six shortcuts below, according to the author, are universal rules of thumbs that guide human behavior. The key is to understand these shortcuts and use them in an ethical manner to persuade others. There are many examples in the books, but in the video they can only give one or two. Here are the six principles in brief. (2) Scarcity. People want more of those things which are perceived to be rare or in short supply. It’s not enough to tell people about the benefits they will gain, you must also tell them what they stand to lose or miss out on if they do not adopt your idea (or buy your product, or choose your school, etc.). (3) Authority. People will follow the lead of credible, knowledgeable experts. In the presentation space, it’s highly desirable to have someone give a short and concise introduction of yourself which highlights why you are an expert worth listening to. (4) Consistency. Asking for small commitments that can easily be made. Then going back and asking for larger commitments later. Sometimes this is called “getting a lot by first asking for a little.” People want to be consistent, according to the principle, so if they said yes to you previously they are more likely to do it again. (5) Liking. People prefer to say yes to the people they like. There are three factors in determining whether we like someone (a presenter on stage, for example). We tend to like people (1) who are similar to us, (2) who pay us compliments, and (3) who cooperate with us. For presenters it’s important to really know your audience so that you can touch immediately on something shared and personal with the audience. Before you send out your survey ask yourself these two questions. 1) Can everyonewho takes this survey answer all the questions? 2) Can everyone who takes this survey understand these questions?